It’s been quite an adventure. I felt I’ve walked about a billion steps since starting this project last summer. I had no expectations of any kind. I had a light bulb go off in my head for an idea to write down my innermost thoughts and never dreamed that this would turn into a book. 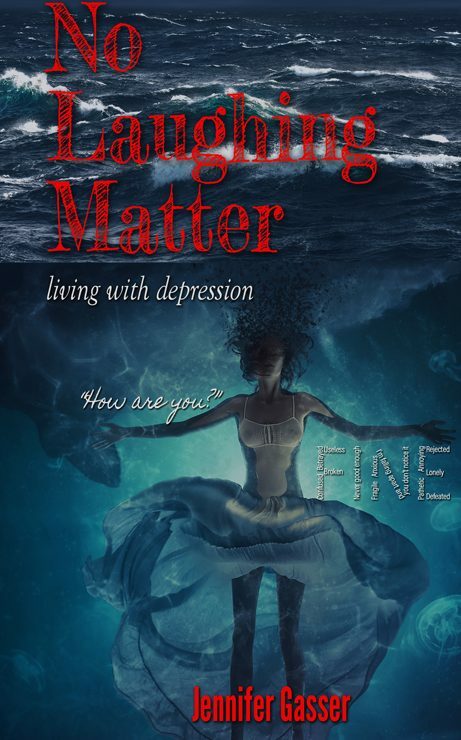 Months ago, if you told me I would be an author and that I would share my journey of depression, I would’ve said, “That’s crazy.” It is. I wasn’t brave enough until last year. Years ago, I wasn’t brave at all. During my breakdown in 2005, it transformed my life in so many ways. Some call it a breakthrough, I call it an awakening. I finally stopped living in denial and admitted that I had a serious problem. This problem affected my life in so many ways. I never told a soul about what I was going through because I wasn’t brave. I already experienced enough grief from bullies why share I have depression? Eventually, I had to learn how to be strong. I had to learn how to take care of myself. I had to fight. I didn’t plan on this nor living my life like this, but life isn’t fair. I think the last few years of my life made me dig deep inside my soul and re-evaluate my life. I live with horrible depression that is so bad I refuse to go outside let alone meet someone and get married. If my condition wasn’t so severe, my life would be different. I would’ve become a musician. I would be living a productive life and possibly with children. Not that it’s still out of reach, I can make it happen. I need the guts to do that and the willpower. Depression takes everything out of you. This blog and book saved me in several ways. I often wonder have that fear of failing every time in my head. I will think, “This book is no good. Who’s will read this? What makes yours different from others?” This is the usual BS and irrational thinking with mental illness. A story like mine is an important story to be told. I don’t want to be another stat, but a voice for others. I was truly embarrassed of my life for a long time and I didn’t talk about it. I’m not married nor have kids or the social butterfly, but I live my life to the best of my abilities. That’s all. It’s not a glamorous life, but it’s my life. I didn’t ask for a perfect life, just a happy one. The journey of this project is ending so fast and it’s bittersweet. I have a pro designing the book and already formatted to the size I want. After I finish the book, then I will start the process of publishing and thankfully, I took classes on how to do that. I’m no whiz in the technology department nor in the book department. It’s been a humbling experience writing this. I’ve shed a lot of tears during the writing process. I’ve banged my head against the walls of the house many times out of frustration. I’ve written this with one broken hand, two noisy Chihuahuas and also while managing a store. So, my hands were full during this project. The main goal and point of the book is to spread awareness and be brave to tell your story. It may help someone’s life.